Here’s yet another mongrel bug that I acquired yesterday at an antique shop. I was originally rather excited to spot its Vibroplex 1906 style frame with side-jutting outriggers. 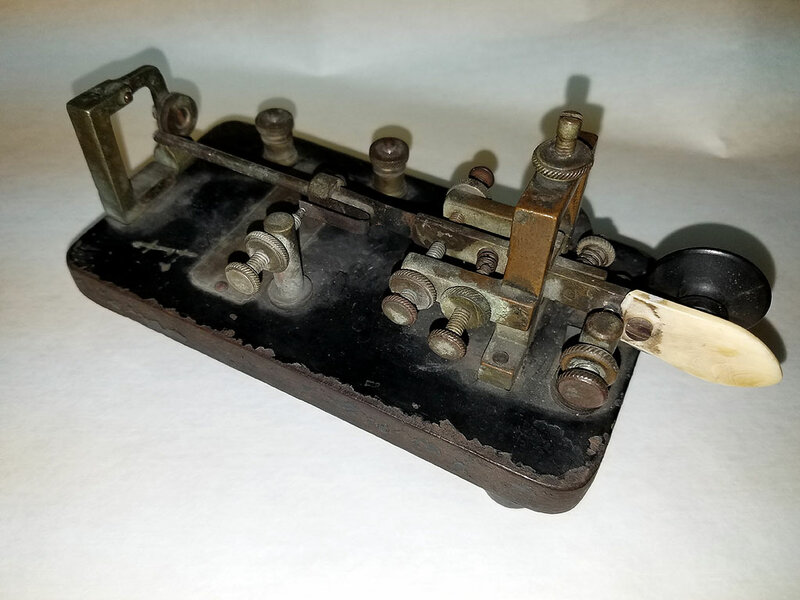 Vibroplex Original bugs had this design for about three years between 1906 and 08, primarily from their Norcross, GA factory. 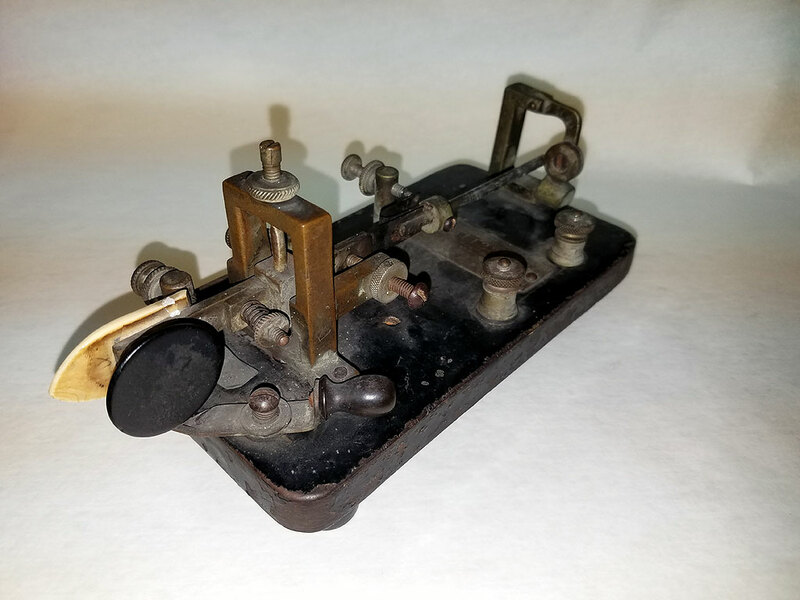 My excitement was quickly doused at seeing the Vibroplex C2 style name plate and serial number 61123 dating from 1918. I then noticed the rounded corners which typically mean its a clone bug. Dating a key like this is tricky. Since virtually all commercial clone production stopped after the 1914 Vibroplex Injunction, I’m going to say it pre-dates that time period. I surmise the C2 plate was added later to get around the injunction by its owner. In any case, the price was very decent so I rescued the bug from its display case. After adding a weight, cleaning the decades of corrosion from the contacts and making the usual adjustments, this bug came back to life sending very nice code. Today I had some very nice QSOs with Tom-AK4NY, Don-KD3CA, and Mike-WI5H during the FISTS Cumulative event on 20 meters. Thanks guys! The bug performed very well given its decades of dormancy. I’m sure with a bit more TLC this bug will be a fantastic performer. I’m calling it “The Mongrel” due to its checkered lineage. Click the images to be taken to the detail page for this key with links to more high resolution views.